Your first team meeting is critical to your corporate teambuilding. 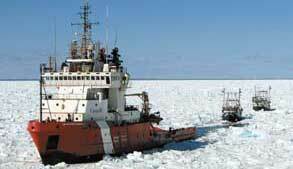 Use icebreakers to break the stress and tension of the team building process. Humor works. Have fun. Icebreakers help the team to develop trust and build relationships. Add these icebreakers to your teambuilding tool kit. Icebreakers Ahead: Take it to the Next Level 52 of the worlds most popular group icebreaker activities Plus lesson ideas & questions to smoothly transition into discussions about issues common to most groups. Great for schools, teams, youth, churches, companies, and team building events. Tell the team members that the current Mega Lotto is at $100 million pay out. Ask them to write down what would they do if the won the Mega Lotto. Give each team member two to three minutes to write down his or her thoughts. Form a circle with the other team members and have each team member share what they would do if they won the Mega Lotto. This icebreaker is fun and helps with self-discourse. Trainers Resource: Visual Icebreakers. Trainers Resource: Visual Icebreakers Teasers To Boost Creativity, word Power, lateral Thinking Skills In A Fun & Whole Brain Way. Learn more now, Click Here! Corporate Icebreakers: Who am I? Pass out 3 X 5 cards. Ask each team member to number the card 1-20 and write his or her name on the backside of the card. Then ask each team member to write down 20 different facts, statements or descriptions about themselves. Instruct the team members to write their name on the backside of the card. The team leader collects the cards and reads off of each card. The team tries to guess which of the team members the card is describing. After the guessing ends, the team member, whose card was read, stands up. Ultimate Icebreaker Guide New Product, Hot Seller. Great for business, training, leadership, sales, youth & community groups. 81 unique & effective games. Great innovative resource for trainers, facilitators and leaders.Find more info here, Click Here! Name and describe your personal hero. Explain what is your current five-year career goal. Facilitate A Meeting Where People Have Fun And Are Tripping Over Themselves With Keen Enthusiasm To Participate! 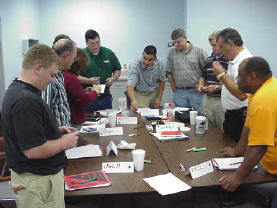 Discover over 80 team building and icebreaker games to choose from Click Here! VisualsSpeak uses the power of visual communication to create energy, excitement, and a sense of connection in your training classroom. The activities are fun and engaging, but the learning experience is rich and most likely more powerful than anything you've experienced as a trainer. Flexible, customizable, and reusable, VisualsSpeak can be easily incorporated into any training curriculum, including team building, coaching, strategic planning, conflict resolution, and more. Improve team alignment Click here to learn more HRDQ tools. Your participants have just returned from lunch and their eyes are glazing over. Don't despair — energize them! The icebreakers and energizers in this collection can be used at any point during any type of training session, workshop, or conference. Each activity is accompanied by a brief description, standard procedures, variations, and space for recording your ideas. They're short, quick, sometimes physical, often competitive — and always fun! Big Apple - creating the sounds of New York City. Putt Off - a golf-putting competition. Charades - acting out happenings, events, and processes. Imaginary Ball Game - inventing and playing a game without talking. Limericks - composing and sharing silly rhymes. These activities are not "throw-ins," randomly inserted into the proceedings. They are purposeful, and they need to be used strategically. There are three times when using energizers can greatly enhance the impact of training and conferences: just after a meal, after a refreshment break, and when a long session begins to drag. These are the most common times when participants are likely to be "de-energized," or less than optimally ready to go on with the program. You may actually reduce the impact of your session by overusing these activities.